Because we produce your orders in our own workplace, we are able to deliver top quality products. We can produce orders from the smallest to the largest numbers! We produce every order in the most efficient way possible with the best quality. 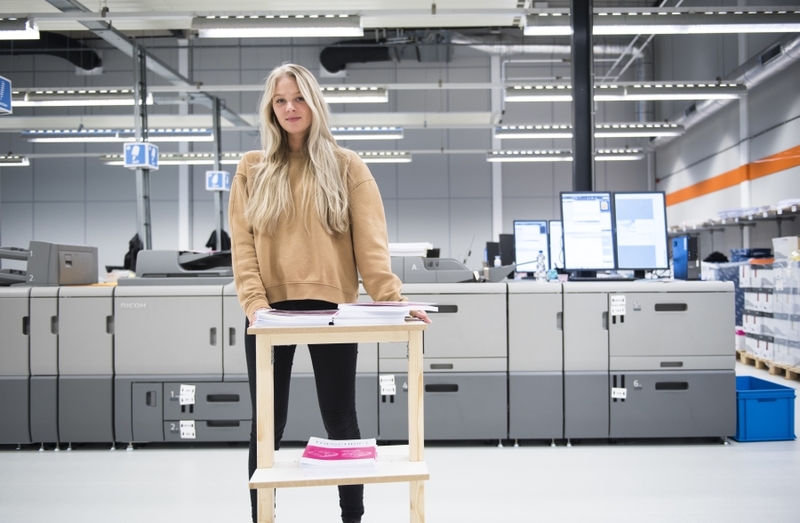 Be certain of the quality of your order at Printenbind.nl! Our customer service employees will give you a warm welcome at our takeaway counter. We produce all the orders in-house at our own location. You will receive a text message or email when your order is ready to be picked up. Our location is easily accessible by car (ring A10) or by public transport (metrostop Isolatorweg, 4 minute walk). 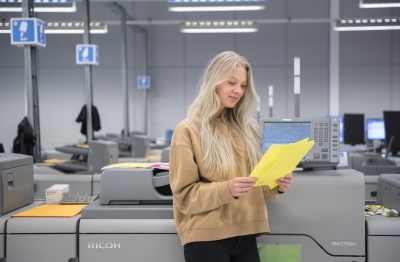 At Printenbind.nl we work with three Ricoh Pro™C7110sx and two Ricoh Pro™C9110 printers. Ricoh is not only our supplier, but also takes care of our printer related maintenance, making sure there is as little down-time as possible. This way, we can ensure a constant high quality output. The printers use a laser based technique and print in CMYK (Cyan, Magenta, Yellow, Black) colours. You can only deliver the best products and the best service if you manufacture orders at your own workplace. At our company, the customer is king. Posters in large sizes are produced on this machine. The Canon IPF8400S has a wide colour range by printing with 8 colours. The ink is waterbased, which makes this ink very environmentally friendly. The maximum size we can produce is 3000 x 1200mm. The perfect binder machine has a capacity of 360 books in one hour and makes sure that every single book has a very firm adhesion. The finishing is very nice and consistent. This is the reason why we can produce large numbers in less than 24 hours. In about 10 seconds, the Perfect Binder is able to finish up one book. Delivery times need to be as short as possible. That's why we have binding machines that can handle high numbers of books. Because of this, we have a very big capacity and are able to deliver the orders on time. We have three accurate cutting machines to deliver your products in any desired size. Go to our order form to see if the size of your choice is possible for your product.